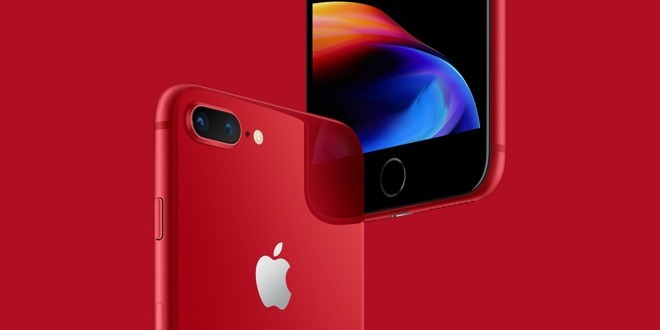 The (PRODUCT)RED Special Editions of the 8 and 8 Plus can be ordered through the same process as their counterparts, and in fact cost the same, starting at $699 for a 64-gigabyte iPhone 8 and $799 for an equivalent 8 Plus. Specifications are also unchanged. The only difference is their color, and that a part of the proceeds go towards the Global Fund, which combats AIDS, malaria, and tuberculosis. Both special edition models are available to order beginning Tuesday and start delivering to customers and arriving in stores in Australia, Canada, China, France, Germany, Hong Kong, Japan, New Zealand, Singapore, the UK, and the US on Friday, April 13. Brazil, Denmark, Ireland, Italy, Malaysia, Mexico, Netherlands, Norway, Russia, Saudi Arabia, South Korea, Spain, Sweden, Switzerland, Taiwan, Thailand, UAE and other countries and regions will follow later in April, with Chile, Colombia, India, Israel, Turkey and other countries and regions following in May. 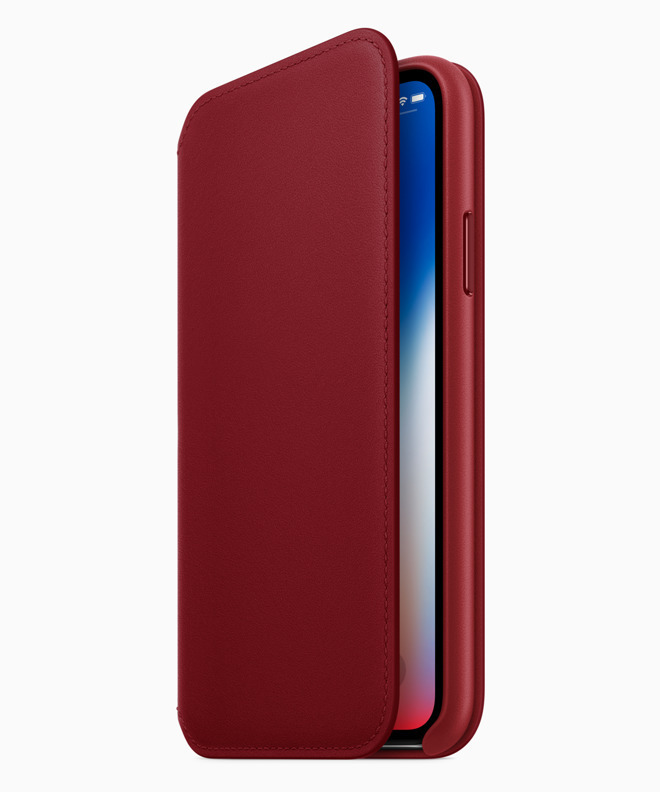 The iPhone X's (PRODUCT)RED Leather Folio is $99. It has a microfiber lining and an interior pouch, and opening the lid will automatically wake up the display. Apple also promises that the case can be kept on when using wireless charging. Apple has long supported the (PRODUCT)RED initiative, and been one of its greater contributors, pumping over $160 million into the Global Fund since 2006. Until last year's (PRODUCT)RED iPhone 7, however, the company had conspicuously skipped bringing RED to its flagship electronics, limiting it to accessories, audio gear, and iPods. There are no RED iPads, Macs, or Apple Watches. (RED) says that Apple's contributions over the last 11 years equates to more than 800 million days of lifesaving ARV medication. In addition to ordering from Apple directly, wireless carriers are also stocking the (PRODUCT)RED iPhone 8 and 8 Plus. Verizon Wireless is offering up to 50% off iPhone 8 devices with a qualifying trade-in. AT&T Wireless is also selling the devices with expected ship dates of April 11 to April 13, while T-Mobile will begin taking orders tomorrow. Listings are also beginning to appear on eBay with sales tax incentives and free expedited shipping.